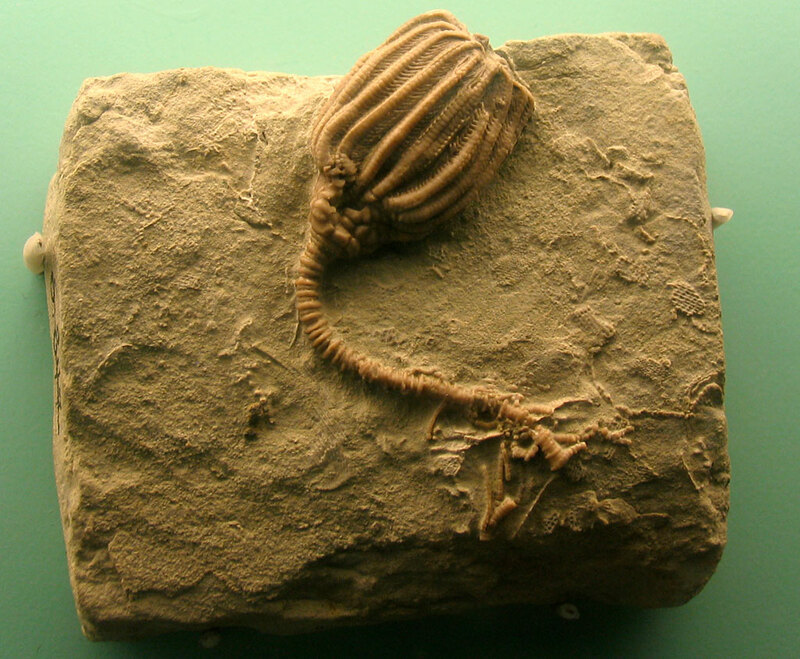 Dizygocrinus montgomeryensis crinoid fossil found in Iowa. This creatured lived in the Carboniferous Period (345-280 million years ago). Fossil displayed at the Smithsonian Museum of Natural History (August 2010).